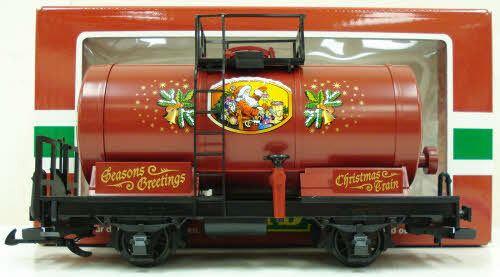 Here is an LGB 47400 Christmas Single Dome Tank Car. This tank car features durable plastic construction, a highly detailed body, plastic trucks, latch couplers, plastic wheels and axles. The Trainz SKU for this item is 4240063.